The two Rock and Roll Hall of Famers connected several times over the years. 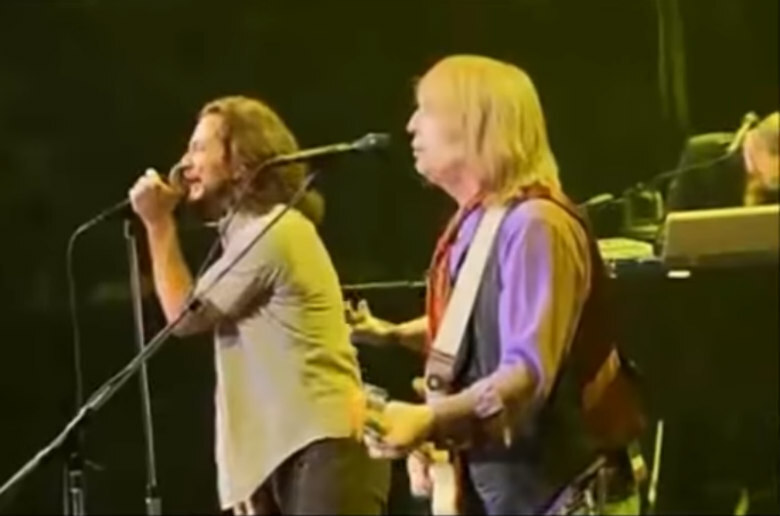 The Pearl Jam star joined Tom Petty during a Denver show in 2006. On Monday, news spread that rock ‘n’ roll icon Tom Petty was found unconscious and in full cardiac arrest at his Malibu home Sunday night. Some reports have said that the Rock and Roll Hall of Famer has died at age 66, although the Los Angeles Police Department has not confirmed the singer’s death. TMZ now reports that Petty is “clinging to life,” but is not expected to live through the day. What’s clearer is that Tom Petty’s music touched millions, including one of Seattle’s most famous rock stars. It wasn’t the first time the music greats connected, as Vedder had previously lent his vocals to “The Waiting” during a 2006 gig in Denver. That same year, Vedder busted out a tender acoustic version of Petty’s “I Won’t Back Down”—a tune he’s often covered—during a Pearl Jam show at the Gorge. Watch each performance below.